Within the frame of the Sustainable Development Goals, world leaders have agreed on tackling our unsustainable consumption and production patterns. By minimizing the use of natural resources and the emissions of waste and pollutants, the goal is to ensure everyone’s right to a healthy environment and a better quality of life. With the theme “Sharing Community”, Green Action Week seeks to highlight practical examples of more sustainable ways to access goods and services. In 2015, the United Nations adopted Agenda 2030 for Sustainable Development. 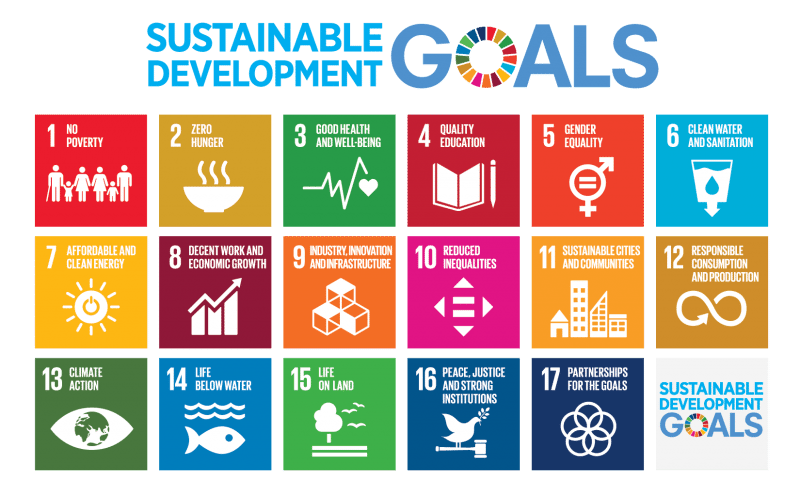 The agenda consists of 17 Sustainable Development Goals (SDGs) that address the challenges the world is facing – such as climate change, inequalities, poverty, and environmental degradation – and will guide global development until 2030. Attached to each of the SDGs is a list of targets that specify what has to be done in order for the goal to be accomplished. Currently, governments, communities and individuals all over the world are taking action in order for the goals to be reached. SDG 12 – “Sustainable consumption and production” concerns material use, hazardous chemicals and waste, sustainable business practices, and consumer behaviour. With increasing use of natural resources, air, water, and soil pollution, and ever growing amounts of waste, it is clear that our current way of consuming and producing has to change fundamentally. To reach the goal, world leaders have agreed on targets such as improved resource efficiency, reduced waste and better awareness of sustainable lifestyles. SDG 12 is closely related to other goals, such as SDG 4 – “Quality education”, SDG 11 – “Sustainable cities and communities” and SDG 12 – “Climate Action”. However, access to goods and services is unequal. While many people consume on very high levels, and many more strive to join that lifestyle, there are people who lack access to even basic goods and services. And while overconsumption is an attribute of mainly high-income countries, its consequences in the form of climate change and environmental degradation tend to impact low-income countries the most. The perspectives and capabilities of both low-, middle- and high-income contexts are essential to take into account when addressing consumption and production patterns. SDG 12 can help lower-income countries avoid getting locked in unsustainable lifestyles, and instead leapfrog communities to more resource efficient and sustainable consumption cultures. One way of improving people’s access to goods and services without increasing the stress on the planet is to share. By challenging the norm of consumerism we can reduce waste and improve resource efficiency. Sharing is, in other words, a concrete example of a more sustainable consumption culture. And in addition, the sharing economy enables development and entrepreneurship. Green Action week wants to ignite cultures of sharing. The focus is on communities, rather than on the products themselves or on the systems through which they are shared. In this way, the aim is to promote strong and collaborating communities – while increasing people’s access to goods and services without further stressing the planetary boundaries. And by sharing good examples of cultures of sharing, we can learn from each other about sustainable development and lifestyles.